In this 8.5 clock hour, highly interactive class learners will interact with content which will help them teach healthcare providers and the general public CPR techniques. The instructor candidate will learn how to adequately use AHA Instructor teaching materials, ensure that students meet learning objectives, role play offering student coaching skills, simulate providing objective skills performance evaluations, explore AHA Instructor and course policies, and explore all the requirements of conducting AHA BLS and Heartsaver classes. We warmly welcome instructor candidates who will be teaching for employers or who want to build a single person training business. If space and equipment are issues, our instructors can hourly rent a classroom space in Martinsburg, WV (includes equipment!) and teach existing classes in Frederick, MD. After successful completion of the AHA BLS Instructor Course, BLS Instructor course participants will be required to design and conduct an AHA BLS class. 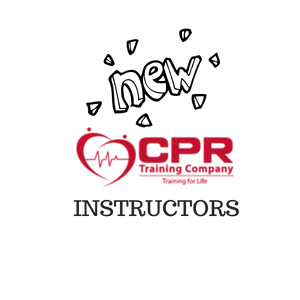 Typically this class will occur at one of the CPR Training Company locations but BLS Instructor course participants can seek pre-approved for other locations. Regardless of location, the AHA BLS class must be pre-approved and sponsored by the CPR Training Company. During this initial class TC Faculty will monitor the student teacher and after successful evaluation, the student teacher will be provided with a course completion card and two year certification as an AHA BLS Instructor. Instructors will be required to teach at least two BLS Provider classes each year, for the CPR Training Company, at the Frederick location. Otherwise instructors are strongly encouraged to teach as many classes as they can at any location which offers a safe learning environment. Our Frederick, MD location provides American Heart Association CPR, First Aid, BLS, ACLS, and PALS classes as well as instructor led hands on skill sessions for the larger Baltimore and DC region. This location is at the Frederick Airport’s Signature Flight Support Building’s (2nd Floor). This location is open by appointment only.